Members WebsiteThe Online Member Handbook! Get Ready for the Oregon Open Invitational! 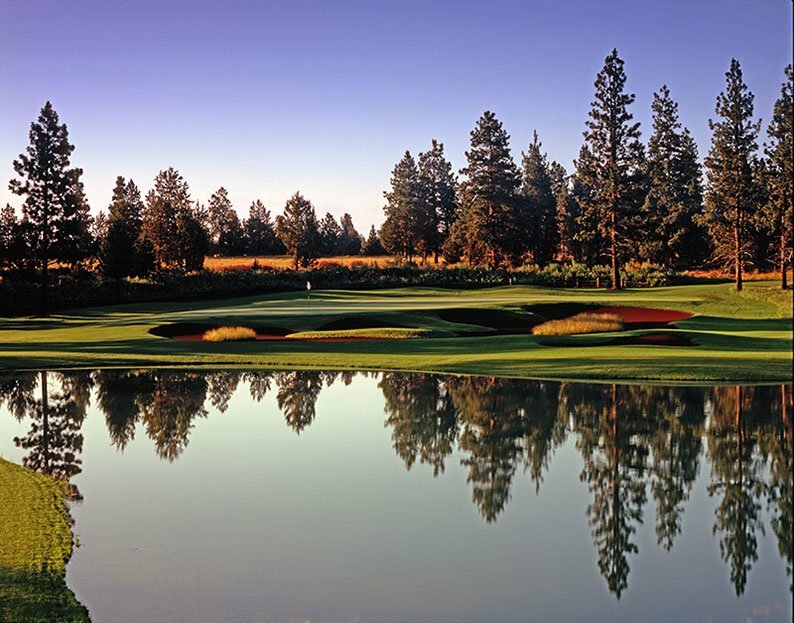 We have a few team spots left for the Oregon Open Invitational at Aspen Lakes GC on June 26-28. Howie Pruitt, PGA is excited to host this year’s four-person team event. There are two team competitions over the first 36 holes – best 2 net of the 4, and each professional will play a net four-ball with one amateur. The championship is a 54-hole stroke play competition with professional and amateur purses. Aspen Lakes Golf Course is a privately owned, public golf course in Sisters, OR. In 1988 the Cyrus Family acquired a 1,084 acre parcel adjacent to their family farm. The first nine Aspen Lake golf holes were constructed in 1996 under the watchful eye of world class golf course architect William Overdorf, with the second nine holes opening in 1999. The signature red sand for the bunkers occur naturally and originated on the Cyrus property. The deep red sand creates a visual delight as it contrasts with the green grass, blue skies and white, snow covered mountains that are the Aspen Lakes Golf Course signature. Entry into the championship will be four-person teams comprised of two professionals and two amateurs. You will need to make your own team. Teams will play together for the first 36 holes. There are two team competitions over the first 36 holes – best 2 net of the 4, and each professional will play a net four-ball with one amateur. Handicaps at 80% will be used in the team games. The championship is a 54-hole stroke play with professional and amateur purses. After 36 holes, the field will be cut to the low 70 players and ties, repaired by score and the Oregon Open Invitational completed. There is no maximum handicap for entry (18 max. in the competition), however, all players will play from the championship tees and there will be no individual net amateur. The Oregon Open Invitational dates back to 1905 when George Smith was the first to win the title. Over the years a number of fantastic players have won the championship such as Tommy Armour, Chuck Congdon, Al Zimmerman, Bob Duden, Rick Acton, and PGA Tour Player Peter Jacobsen. It was considered a PGA Tour event in the late 1920s and early 1930s. Last year, Russell Grove of North Idaho College won the Oregon Open Invitational at Juniper GC by 6 strokes over 2010 Champion Derek Berg of Sahalee CC. Low amateur honors went to Reid Hatley from Hayden Lake CC.